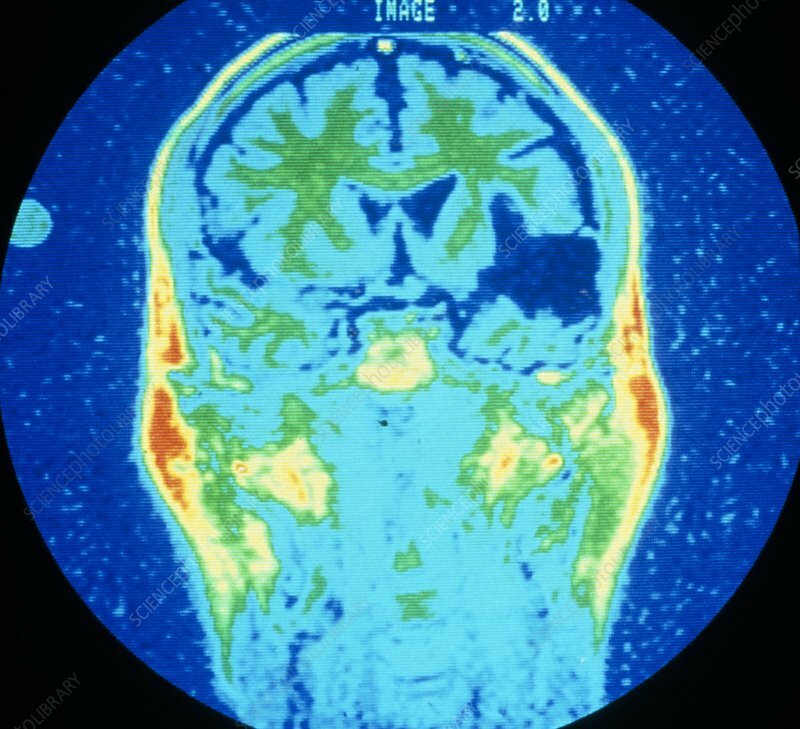 False colour nuclear magnetic resonance (NMR) image of a coronal (frontal) section of the brain of a person suffering from a cerebral infarction. The infarct (area of dead tissue) appears as the dark blue area in the lower left cerebrum (right on image), and is caused by an obstruction in the middle cerebral artery with the resulting interruption in blood supply. Such an event (termed a cerebro-vascular accident) is often the cause of a stroke, a sudden attack of weakness affecting one side of the body. The initial obstruction may be due to a clot (thromosis), a dislodged clot blocking an artery (embolism) or haemorrhage from a weakened arterial wall.